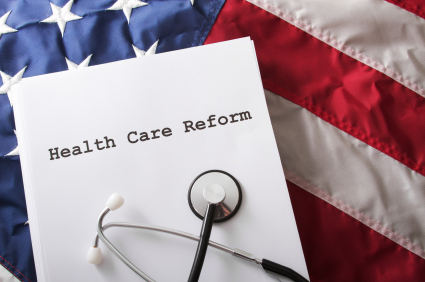 Are you starting to hear the buzz about Health Care Reform, also known as “Obamacare”? Are you confused about how it impacts you and your family? Beginning October 1, 2013, uninsured Americans can start shopping for affordable health insurance in the online health insurance marketplace. Most uninsured U.S. citizens and legal residents will be required to purchase health insurance by March 31, 2014. Ability for young adults to stay on parents’ plan until age 26. Individuals with pre-existing conditions cannot be denied coverage..
Medicaid will now be offered to individuals under age 65 with income less than about $15,302 ($31,155 for a family of four). Uninsured individuals who purchase health insurance through an online health insurance marketplace or exchange and have income no greater than about $94,200 * for a family of four, may be eligible for a government subsidy to help pay for health insurance. The subsidy will be in the form of a tax credit. Unlike most tax credits, you will not have to wait to receive the credit or subsidy; it will be applied to your insurance premium when you purchase in 2014. Beginning in October 2013, if you’re uninsured or looking for more affordable insurance, you can visit your state’s online health insurance marketplace to see your options. If you are required to purchase health insurance and have not done so by March 31, 2014, you will receive a penalty. The tax penalty will be on your 2014 tax return filed in 2015. The penalty in 2014 is $95 per adult, $47.50 per child, capped at $285 or 1 percent of household income depending on income. Each year the penalty increases. By 2016, it rises to $695 per adult, $347.50 per child, capped at $2085 or 2.5 percent of household income. There is no penalty for a gap in coverage less than three months. You already have health insurance through your employer, Medicare, Medicaid, or purchased on your own. You have income below the IRS tax filing threshold ($9,750 if you are single). The lowest cost plan option exceeds 8% of your income. As with all tax laws, TurboTax is up to date with the latest health care tax law changes. You can continue to rely on the TurboTax Community for answers to help you find out how health care reform impacts you, your finances and your taxes. What if you are living abroad? Will the 95$ penalty be enforced on me? This article neglected to list other types of peopel who are exempt from having to have medical insurance, under Omaba Care law. First clear and concise answer to the new health care I have read. You are kidding us, right? This whole thing is a disaster and affordable is not something that describes it. Time to take this down and put an “under construction” sign up until this all fleshes out. I have cancer ;Lupus; diabetes; hig blood presión. Please i need tour help .for better c uality of life. Thak y o u.God blees. What is the basis of income under the Affordable Health Care, adjusted gross or net taxable income, line 37 or line 43 on the 1040? Which income tax return will the IRS be looking at in determining the first penalty, the 2012 or 2013 tax return? I would guess the 2013 return if the penalty appears on the 2014 tax return. They will actually look at your 2012 tax return filed in 2013, because 2013 tax returns will not be filed until 2014. The penalty will appear on your 2014 taxes filed in 2015. Actually I found the answer to my question on the Turbo Tax AnswerXchange. I wanted to know what tax year the IRS would look at in determining the first fine and that would be the 2014 tax year not 2012. For tax year 2014, the tax penalty for not having health insurance is the larger of 1% of your 2014 income or $95 per uninsured adult (plus $47.50 for each uninsured child), with a maximum penalty of $285 per family. All, I lived in France for 13 years. Everyone from America said, “Oh health insurance is free, right?” Well, not right. I had a health card, and no issues with getting health care when I needed it. I made a very small salary $25,000 per year..and $12,000 in taxes. THIS is socialism. The ACA is NOT socialism. What it is…is just like the tax you pay to get MEDICARE, and SOCIAL SECURITY. It is learning to take responsibility for your health and future. Dear TurboTax,can you tell us how the ACA subsidy origininates ,and if it is permanently built into the matrix? I have heard that in 2014 there will be taxes on my employee “benefit package.” Mine is worth about $36,000. It counts vacation, sick time and insurance benefits and puts a monetary value on these. Actually my benefit package is almost as much as I make a year. The thought of paying taxes on this is scary and if it is true, I need to start planning and change my withholding. Can you give insight on this? There is no current plan to tax your benefit package. Starting in 2018, employees with premium health care plans may be taxed on a portion of the health insurance premium, but not on dental, vision, life or disability insurance, or on other benefits. compatible with MAC OS X 8.5. I purchased Turbo Tax last year (thru the Advantage Club and had trouble with the Program. I had to buy a copy of Turbo Tax (Deluxe) at Best Buy. If you all don’t like what is going on in this country then step up to the plate and run for office yourselves. What about those of us who don’t or can’t work, and don’t file because of no income to file for?